Luxurious highlight for the magical moments of life - the filigree Ritzenhoff champagne glass from the Champus collection exudes sparkling elegance and offers the right design for every champagne lover due to the large selection of fine decors. Precious gold and platinum parts in the decor complete the glamor factor and give the glass its special look. 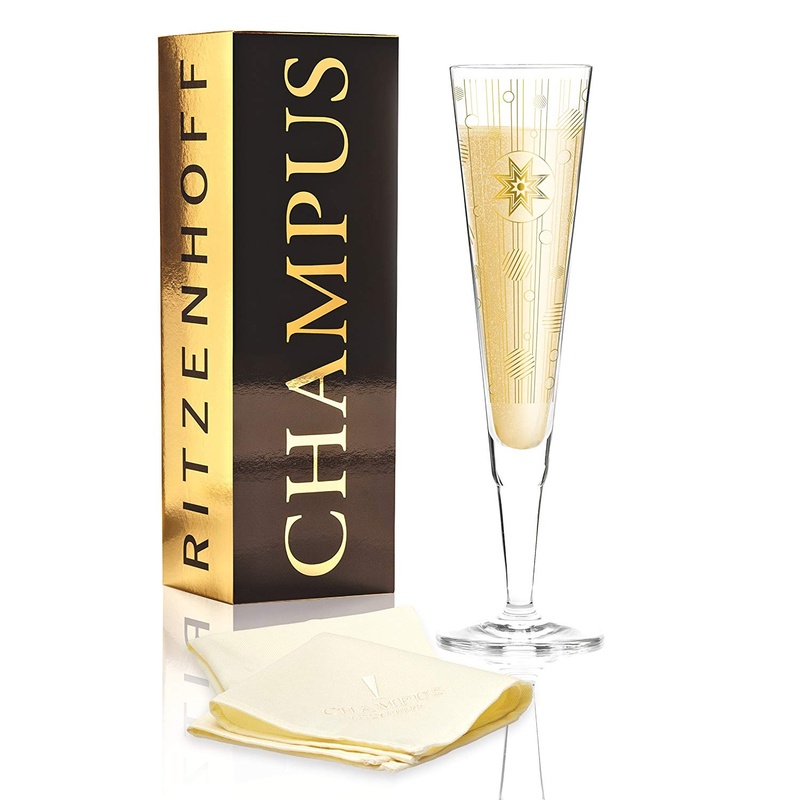 A fine napkin and the elegant glossy all-gold and black card complete the features and make the Ritzenhoff Design Champagne Glass the ideal gift - because it is better to shine with glamor and glamor.